Goodbye Fantasy PlayStation 4s! It's Been Fun. 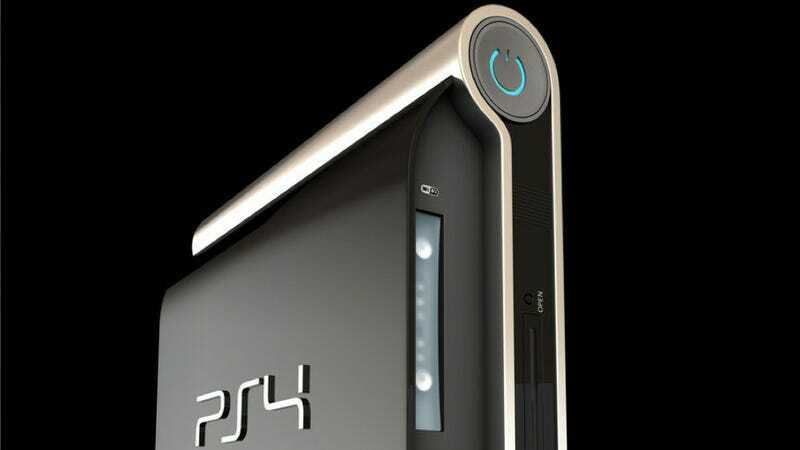 Later today, Sony is expected to reveal the PlayStation 3's successor. Kotaku has already dished exclusive details about the console and its controller. The idea of the PS4 (or whatever Sony ends up calling it) is becoming concrete. Soon, the console will become tangible. Kotaku already published exclusive photos of the controller, so we're confident we know what that looks like. The console itself, however, is still a bit of a mystery—a mystery that ends tonight. That gives us one last chance to look back at how people thought the next PlayStation would look. Some of these are concept consoles—they're not meant to fool anyone into thinking that they are real. Then there are the fakes created to do just that! After tonight, these Photoshops will be filed away to the dustbins of history as Kotaku reports the new PlayStation's unveiling, live from New York. Many of these images recently appeared on 2ch, Japan's largest web forum, sans proper credit. If you made any of them and want us to link your site, shoot us an email.